This place was our sanctuary from the chaos outside. I’ve stayed in other Delhi hotels that cost slightly less than Palace Heights but were far less comfortable, clean and professionally run. Nice hot showers, good WiFi and the most helpful, attentive staff. Added benefit: the restaurant is so good that not just guests eat there. It is busy most nights. Location in middle of Connaught Circle. Confusing at 3 am arrival in locating. Little less confusing in daylight. Takes a little time to get acclimated to the circle. Don’t look lost. Too many “friends” to help you their way. Good base to explore from. Metro close. This hotel is in a good location on Connaught Place. It is easy to get to and from the airport by taxi. The hotel is clean and the staff are very attentive. Our room was on the back side of the building and it was quiet. We had a very good evening meal in the hotel restaurant. We enjoyed the breakfast service - the local dishes were very tasty. I definitely recommend this hotel. Easy check in, very helpful staff man on reception especially. Good restaurant. When you arrive go up lift to hotel. All on one floor. Good rooms very clean and facilities good. Only down side no seating area if needed. I am an avid traveler so I have a lot of experience with hotels. My 7 night stay at Hotel Palace Heights was a really enjoyable and stress free experience. The room had everything I needed and more. It had many electrical outlets so I did not have to use my extension cord which I carry around for rooms with only 1 or 2 outlets. The marble shower was clean and looked new (no stains on the marble), hot water was plentiful. A newspaper was delivered every morning. The staff were courteous, friendly and knowledgable about getting around Delhi (I used the Metro which was fast and easy to learn). The location is excellent and 2 minutes walk to the central Metro Ravi Chowk station. The housekeeping staff occasionally brought me delicious complimentary cookies. All in all I was a happy camper at Hotel Palace Heights. This was my 3rd stay at the Hotel Palace Heights, and each visit has been as good as the rest! Their consistency of service and cleanliness is commendable. The location is excellent, as is the restaurant. The staff is just excellent, especially the front office, the guys at the door and Hassan from breakfast! Thanks for the great experience! This is an excellent little hotel. We have stayed here twice now and the service has been exceptional. Staff go out of their way to provide assistance. Just be careful of the aggressive touts working outside the front door in Connaught Place - they will tell you they are working for the hotel but they are not. Our stay at this Hotel was faultless! The staff couldn't have been more helpful and caring of our needs, within the Hotel AND beyond! This has been my 5th stay in New Delhi and the Hotel Palace Heights has been my best find! We had such a long and tiring journey to Delhi and could not have been happier at the wonderful hotel we were greeted with!!! Connaught Place is such a beautiful area to stay in and this hotel was literally the icing on the cake. Such a modern look yet with the colonial element! It felt like being on a cruise ships. The beds were so big and comfortable and the bathroom we had was huge and beautiful! Water pressure was great too. We also got 2 large bottles of drinking water every day. Room was so clean and perfect. We were really taken aback by how spectacular this hotel was as the pictures do not do it justice at all. The best part was definitely the breakfast - hands down the best hotel breakfast we have ever had. Some members of the staff and management that really stood out were Hassan, Anil, Wasim, Sanjeev and Erwinjit. 100% would stay here again when we return to Delhi. As much as we were looking forward to going home, we were actually so sad to leave the hotel. All the staff were so friendly too. Would definitely recommend this hotel to everyone visiting Delhi!!! Location is excellent and very close to many places of interest (Bangla Sahib, Karol Bagh, Chandni Chowk and even South Extension). Rajiv Chowk metro station was literally a 1 min walk away! Also many good food places nearby, the hotel restaurant Zaffran is great for Indian food, while Taste of China about 10 min walk away had good Chinese food too. Dominos is really nearby and the hotel can help with delivery too! We also visited Chili’s about a 5 min walk away and really enjoyed the food. Overall we had an amazing 5 day stay here!! Hotel Palace Heights is conveniently located diagonally opposite to Metro Gate # 4 of Rajiv Chowk in Block D of Connaught Place. The hotel has excellent staff members who are extremely courteous. The rooms are well maintained though it is small. The only hiccup is that if you are a vegetarian, you dont have choices in breakfast except for Paratha and Bread. But for those who are accustomed to eating eggs and non vegetarian, the choices are good. Otherwise, I found this to be an excellent place to stay. 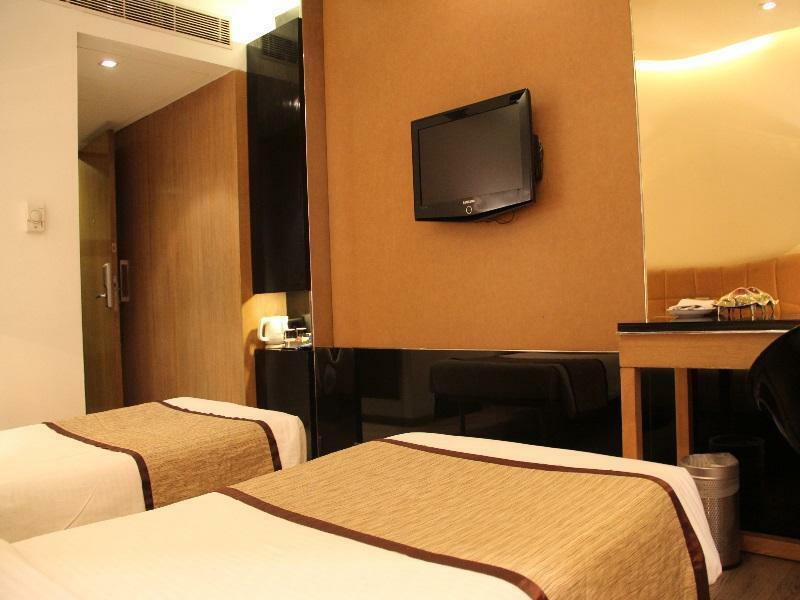 Very convenient and awesome place to stay in connaught place, Delhi. The rooms were very neatly kept and the food is also great here! The staff at the breakfast bar was exceptionally helpful and friendly. The breakfast is supposed to start at 630am. Because I have scheduled a trip to Taj Mahal at 630am, they made special arrangements to make sure I could consume my breakfast at 6am. Thanks for the great effort! 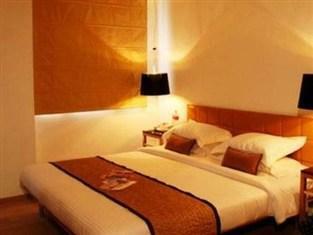 The hotel is located in inner circle of Connaught Place. So it is super convenient to go anywhere. Our room was quiet and comfortable. Staff is very attentive and helpful. Breakfast and supper at their Saffran restaurant are excellent. The location, in Connaught Place and next to the metro, could not be better. We had stayed at the Palace Heights 2 years ago and liked it and the staff. On arriving at about 11pm Rajesh the doorman recognised us with delight which was very heart-warming. Wasim on reception also went out of his way to be helpful in planning our next day's attendance at the Republic Day Parade. Our room was quiet, comfortable, well-lit and with an excellent bath-room. Breakfast and supper at their Saffran restaurant are first class, and we particularly enjoy watching the eagles nesting a few metres away. The location, in Connaught Place and next to the metro, could not be better. And we should also mention the restorative powers of their 'nimbu pani' and 'nimbu soda' after a long day of travelling. Connaught Place is quite convenient for travel around Delhi - the hotel is one block from a Metro station. The rooms are lovely - spacious and well equipped and very clean. Staff are friendly and very helpful. Welcome tea and fruit was a nice touch and a delicious cookie at night! Breakfast was excellent - buffet choices as well as made to order items. 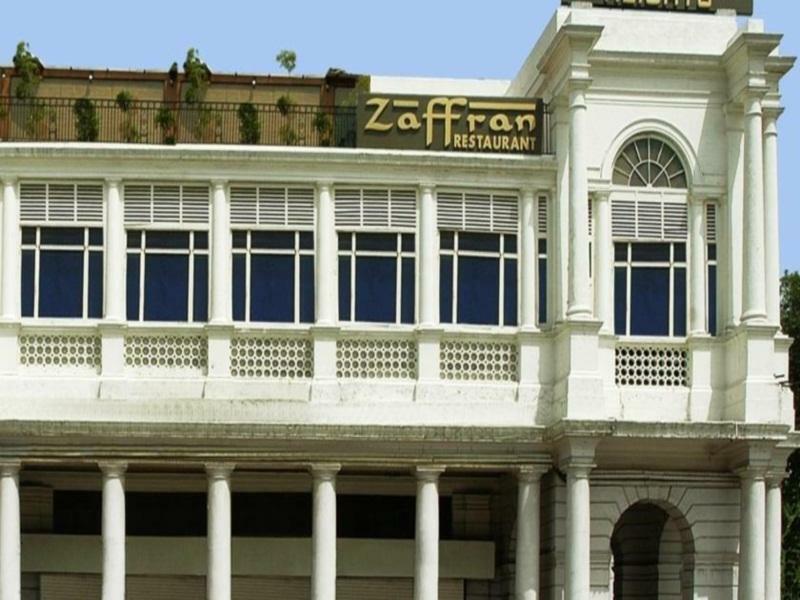 We also ate in Zaffran, the in-house restaurant for dinner - very good. Some noise from a night club at night but it's Connaught Place so it was expected and it was not disturbing. Nice central location with modern facilities, a great restaurant, and extremely helpful staff. And, if you want other earring options, there are a ton in walking instance. Only downside is the wifi was very flaky in our rooms. Well definitely go back. สถานีรถไฟใต้ดิน Rajiv Chowk - ระยะ 0.18 กม.